Flashback Friday: A weekly article brought to you from the vaults of top BriSCA photographer Colin Casserley. 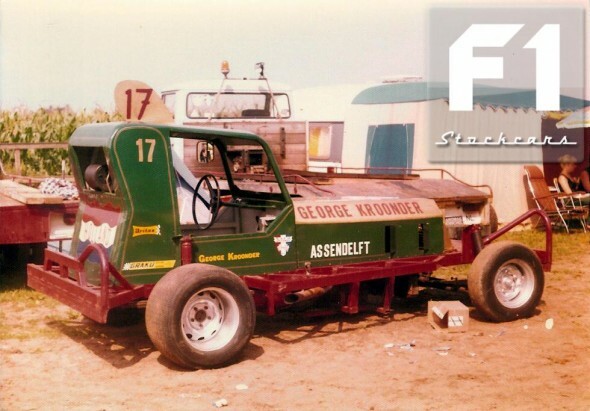 As we move closer to the commencement of the BriSCA F1 Stockcar season, Flashback Friday comes to an end with an overseas special. 1. 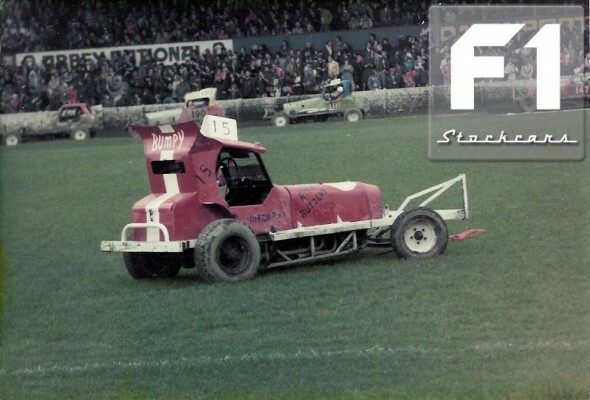 Although Dutchman Barry van den Oetelaar (386) raced in many World Finals in the early 1960s he always qualified through the UK system as he was at the time based in Reading. Barry would return to his native Netherlands in the late 60s and promote at Tilburg. Marinus de Rooy (25) was among three drivers who travelled over for the 1967 world final at Harringay and can claim to be the first domiciled Dutch world finalist. 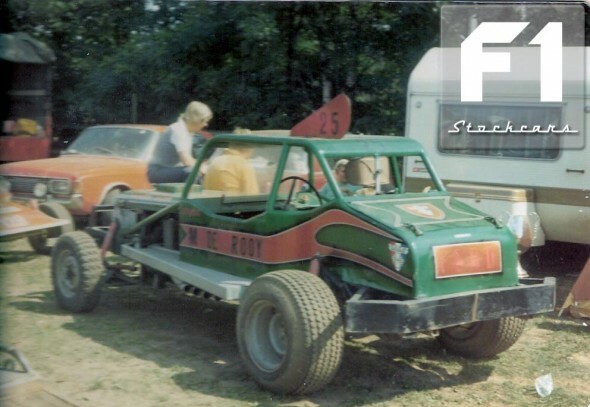 de Rooy, who is pictured here in 1976 at Baarlo also raced at the first Scota world final at Wimbledon in 1975. 2. Cris Baegen (35) was the Dutch representative in the 1968 world final at Coventry. Cris is the uncle of current F1 driver Hans Baegen (65). Baegen was listed in the line up for the race, however, the programme notes indicate the driver was Pieter Noordlander (35). if our friends in the Netherlands have any more information that would be greatly received. 3. 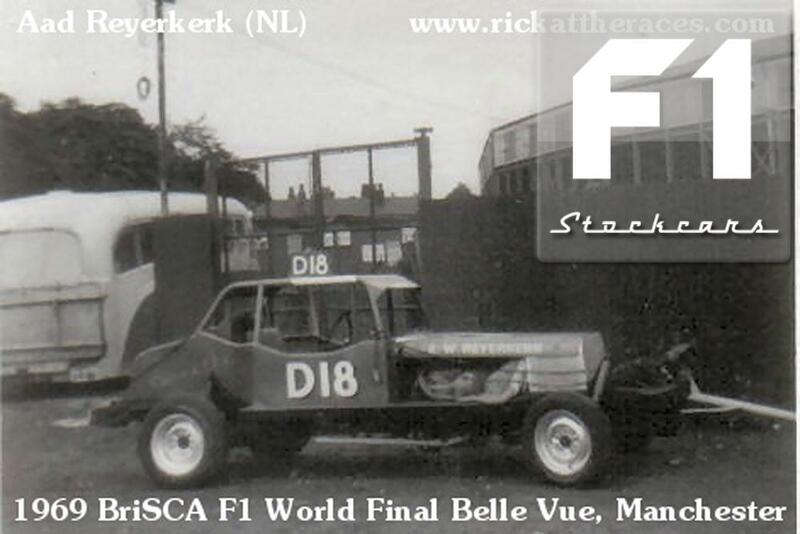 Aad Reyerkerk (D18) raced in the 1969 world final at Belle Vue. the “D” prefix on the car is misleading as to all best knowledge it represents the track he raced at in the Netherlands rather than Germany. Information in the programmes was sadly lacking at the time so this information is as accurate as possible. 4. In the early 1970s Brisca had a tie-up with the EVACO club based in North Holland. 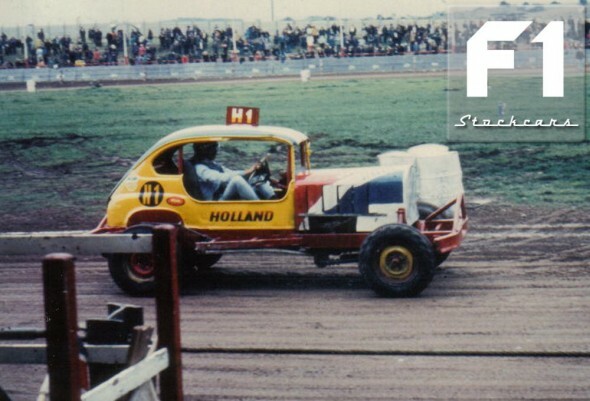 Jac (1) and Henk Straver (61) made several appearances in the UK and were at four consecutive world finals starting at the 1970 Harringay world final. 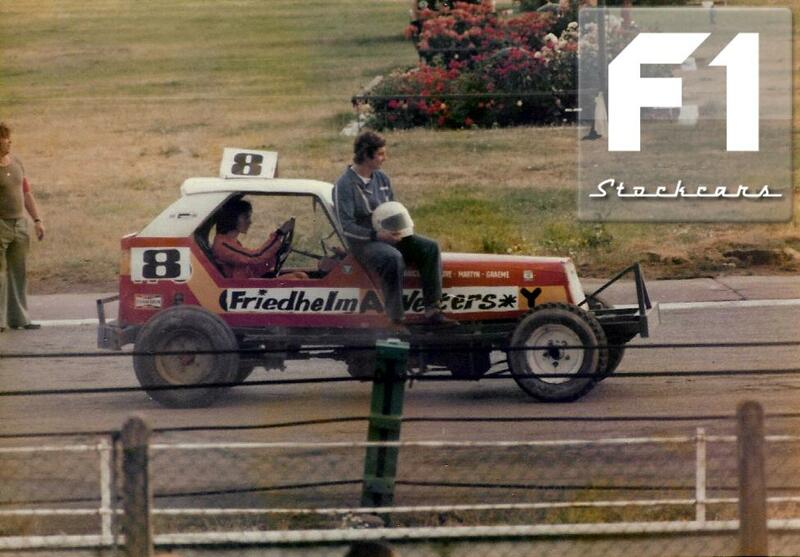 Jac Straver is pictured here at Stoke. If you know the original source of the picture below, please get in touch. 5. 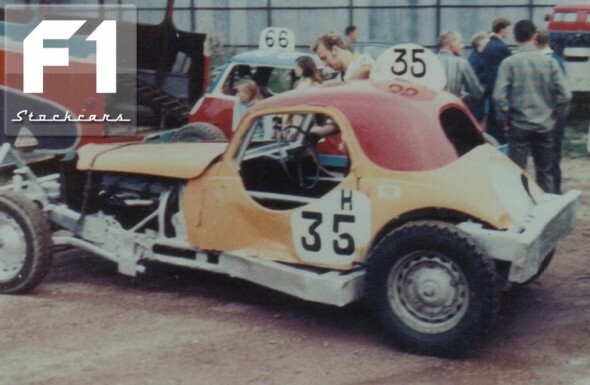 Spedeworth had links with the NACO ( Netherlands Auto Cross Originsation) dating back to the early 1960s when Les Eaton was alerted by a serviceman’s letter about racing at Baarlo. 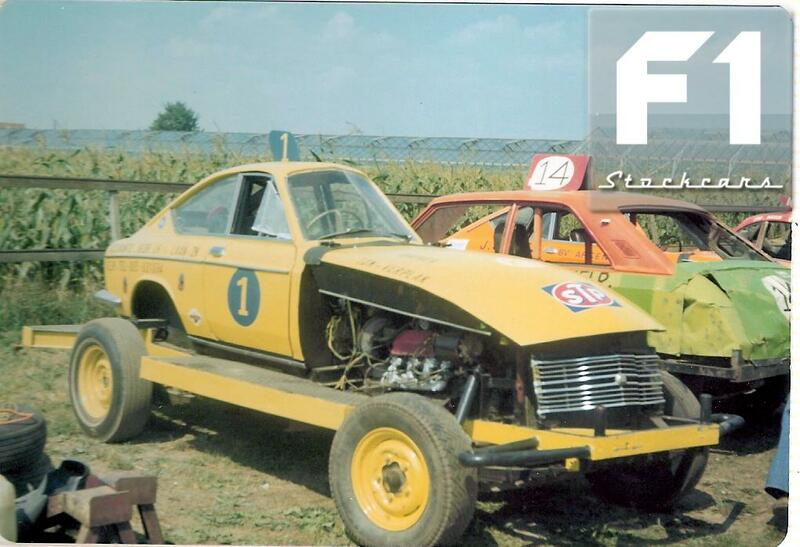 A driver exchange was initiated as early as 1965, with the Superstox (then called F2) cars having their European Championship at Baarlo the same year. 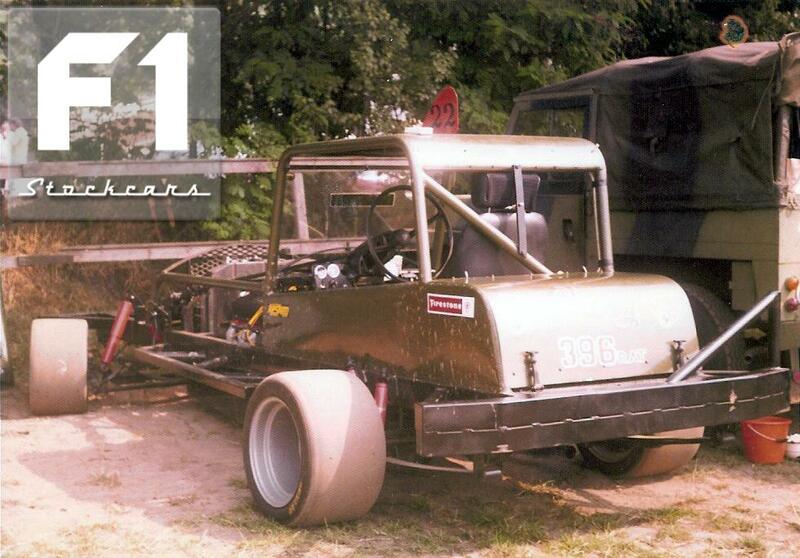 When Scota started in 1975 three drivers were sent to every Baarlo meeting throughout the season. 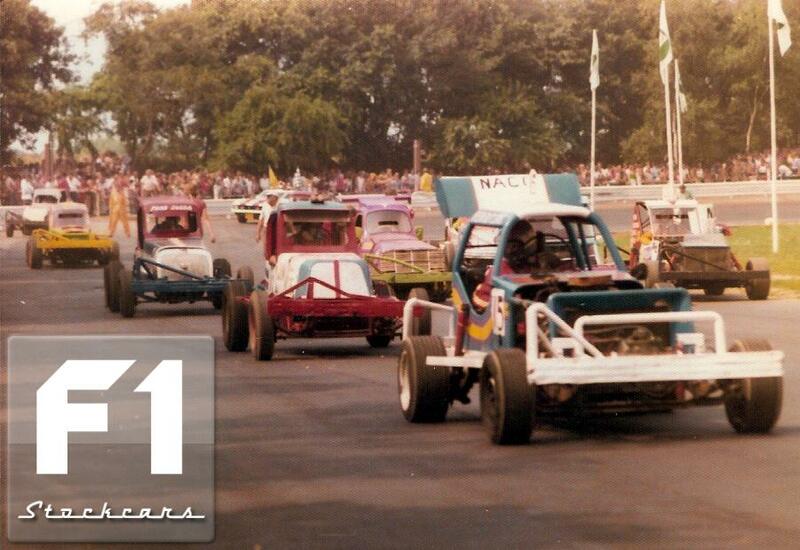 In this photo from 1976, Piet Klaassen (87) is being pursued by Alan Casserley (UK 104) and Les Mitchell (UK 238). The track was still a dirt track and at the time the Rodeo cars and F1s were in the same race. 6. Many of the Dutch cars at the time were still very “Stock”, with opening doors, windscreens and operating wipers. The car in the photo is Ton Verplak (1) and was taken at Baarlo in 1976. 7. 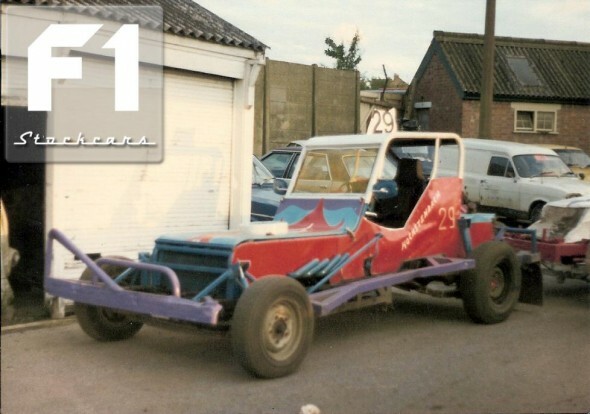 Many of the Scota drivers loved to race at Baarlo, and when Les Eaton offered the opportunity of their World Final race being held in the Netherlands they jumped at the chance. For the 1977 season the huge Baarlo track was changed from dirt to tarmac. 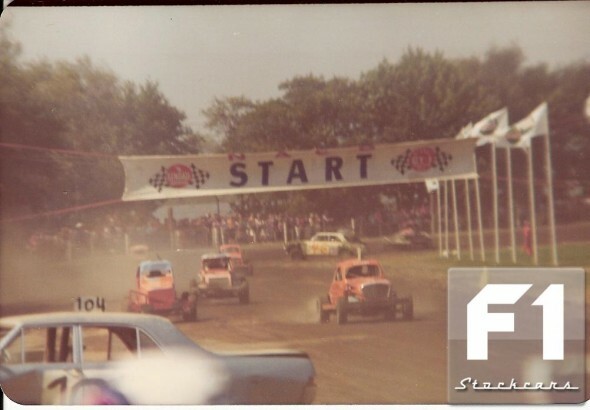 This photo shows Rien Rutjens (15) leading Jim Wilde (UK 90), Gordon Perrin (UK 266) to the start line for the infamous Scota World final of 1977, a race that still lives in the memory of anyone fortunate enough to see it. 8. With the Scota tie-up and the change to tarmac at Baarlo, the Dutch cars began to rapidly evolve. 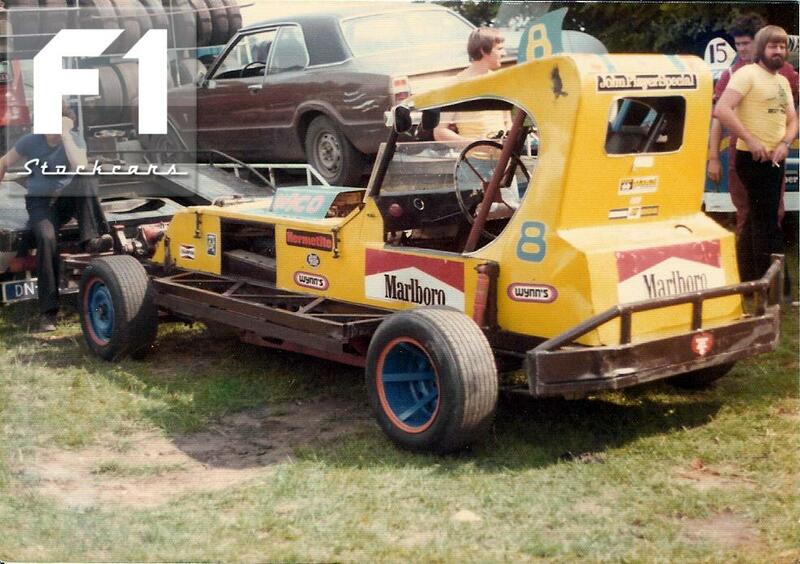 This is Friedhelm Welters (8) at Baarlo in 1977. Welters would lead the 1986 world final and almost came home second before being dumped in the fence in the closing stages. 9. George Kroonder (17) at Baarlo in 1977, George would later change his number to 217 and the paint job to the more familiar Kroonder yellow. His son Ron (217) is among the best drivers to have raced and after some time off due to a back injury is back racing and winning races. (UK 154) built Sam Ostle (UK 351) car shown in last weeks Flashback feature. in a racing accident in 1979. 12. Racing is in the blood in the Netherlands just as much as it is in the UK. 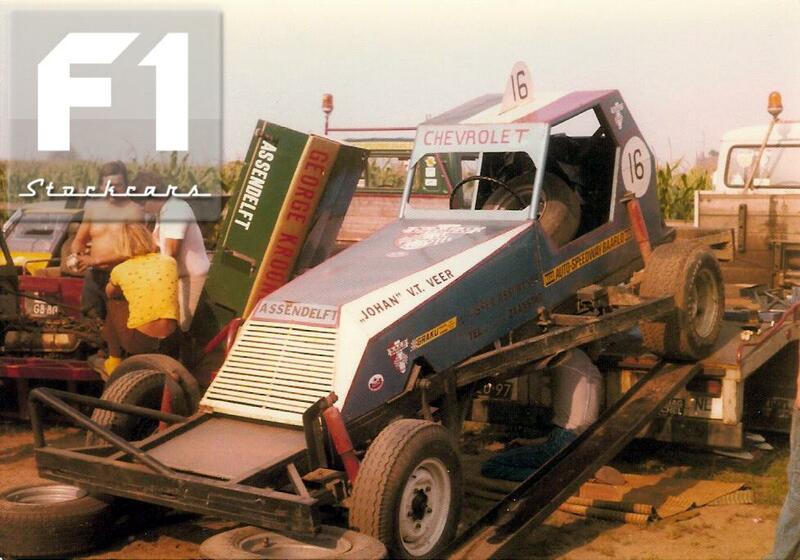 this is Johan van’ t Veer (16) at Baarlo in 1977. his son John (16) can be seen racing at tracks like Emmen and Sint Maarten. 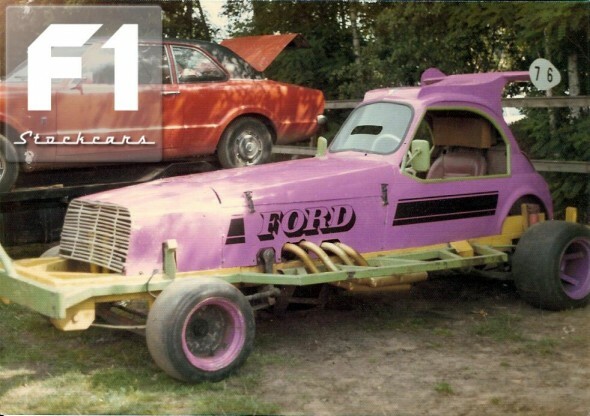 colours of Ton Verplak (1), who is featured earlier in this flashback driving the yellow stock bodied car. 14. 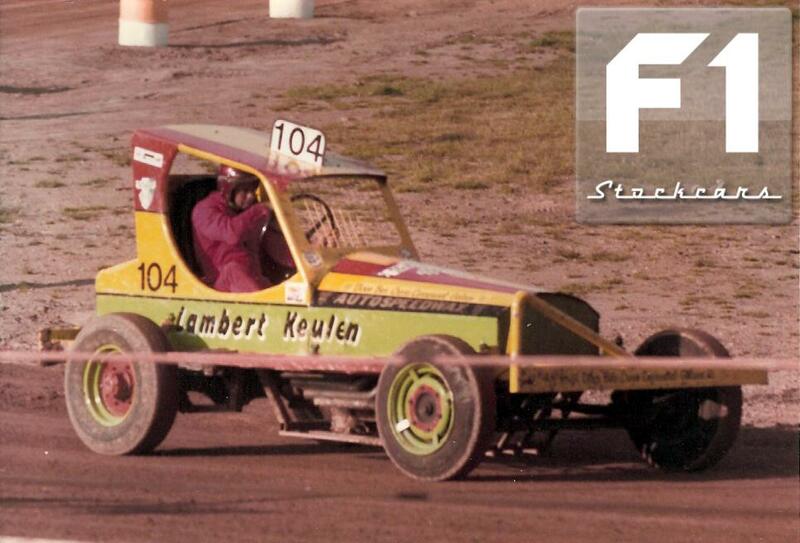 Lambert Kuelen (104) at Long Eaton for the first ever European Championship meeting. It was a double header with “Ole L.E.” on Saturday and Rochdale on Sunday. 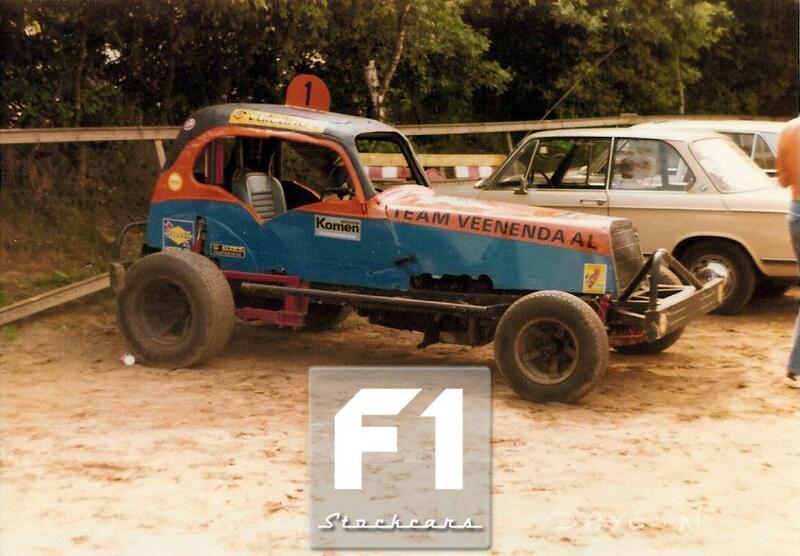 Kuelen was no stranger to the UK, having made his début at Wimbledon in the mid 1970s in his low slung machine. that occasion he was driving the Keith Barber/Long Eaton “Celebrity” Special John Hillam (UK 229) built car. This photo of Rien is at Rochdale on another of his many UK trips. 16. In 1979 the European championship moved to Harringay. Sadly the turnout of cars from the Netherlands was less than expected, with only Rien Rutjens and Herman Hochstenbach (29) bringing their own cars over. This is Herman’s car in the paddock area at the London stadium. 17. Friedhelm Welters was able to borrow a car from Colin Casserley (UK 176) for the Harringay meeting. It was far from ideal as there is a bit of a height difference between the two drivers! But Welters squeezed into the car for the European champs race but it ended early for him when he caught the front stretch fence. See Part 1 HERE, Part 2 HERE, Part 3 HERE, Part 4 HERE, Part 5 HERE, Part 6 HERE, Part 7 HERE and Part 8 HERE.